Eating a healthy dose of whole grains every day can help reduce the risk of heart disease, stroke, obesity, and even cancer. But there’s another lesser known benefit of whole grains that our dental office in Danville wants you to know about. 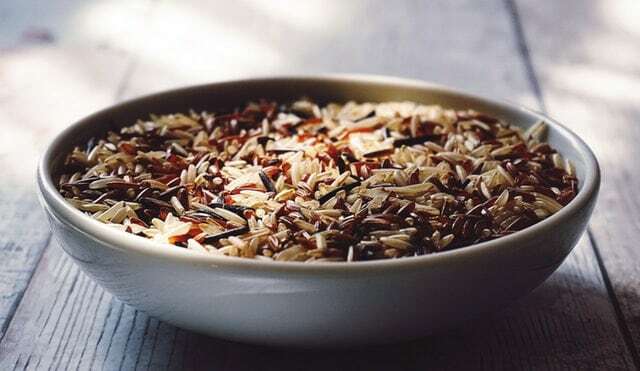 Research has shown that a diet rich in whole grains can reduce the risk of gum disease and protect overall oral health. More research continues to show that oral health is directly affected by what we eat, and whole grains are no exception. Whole grain foods are packed with antioxidants as well as vitamins and minerals. It’s these vitamins and minerals that help keep teeth and gums healthy. For example, magnesium works to keep the protective layer of tooth enamel strong and vitamin E can reduce inflammation and, in turn, lower the likelihood of developing gum disease. According to the 2015-2020 Dietary Guidelines for Americans, the recommended daily intake for whole grains varies depending on age and gender. Check out the table below to see how many whole grains you should work into your diet for optimal benefits. The next time you’re planning dinner for your family consider adding in a few more servings of whole grains by replacing potatoes with brown rice, trying a whole grain pasta, or swapping white flour for whole wheat to help keep overall health and oral health in top shape. In fact, finding foods high in whole grains has recently become a lot easier. Look for the Whole Grain Stamp featuring a gold background and black border. Of course, good oral health goes beyond what we eat (although that does play an important role). Make sure you’re visiting your dentist in Danville at least every six months and brush and floss regularly. We’re always welcoming new patients at our Danville dental office. Call to schedule your appointment today.